Looking To Boost Security? Call Your Local Locksmith! Did you know that locksmiths can do so much more than key cutting and popping locks? It’s true! We’re the all-around lock and key experts by training, so if it involves either of those, odds are good we should be your go-to solution. We’re also in a great position to help boost security for your Camden home, business, commercial property, and more. We can install and service access control systems and keyless entry locks for businesses, but we can also help with a front door lock that doesn’t quite work right. We can even help with unlocking your vehicle any time, thanks to our emergency locksmith services. 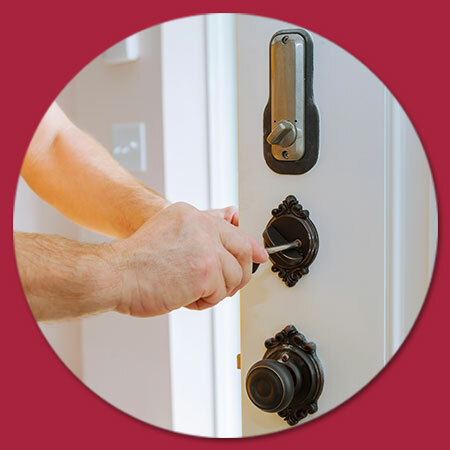 No matter what you need, trust Pro-Lock & Safe for experienced, local locksmith help in Camden, DE. And more. If it involves a lock and key, odds are good we can help, so give us a call today! If you need an emergency locksmith in Camden, the team at Pro-Lock and Safe is a quick drive down the road meaning that we can get to you in a flash no matter what situation you find yourself in. Whether you’ve locked your keys in the car or you misplaced the key to your business, we can unlock your problems and get you back to your day in no time at all. Because we are always taking new classes and staying up to date with the latest technologies, we’re able to handle any situation that comes our way. Being locked out is no fun, but the fact of the matter is that it’s bound to happen to pretty much everyone at some point or another. When you really think about it, it’s almost a surprise that it doesn’t happen more often given how much people have going on in this day and age. Either way, when it does happen, you’re going to need to find a 24-hour locksmith you can trust. Fortunately for you, we’re here to help. No matter what time of day or night it is, we’ll be there with a smile on our faces. When you give us a call, we will provide you with a timeline for our arrival and a free estimate of the work that needs to be done. Once we arrive, we will work quickly so you can get back to the rest of your day. We know that dealing with an emergency isn’t something you expected, but we’ll go above and beyond to make your experience with us a positive one. Regardless of the situation that you find yourself in, we’re here to help. Give us a call today and we’ll get there as quickly as possible.